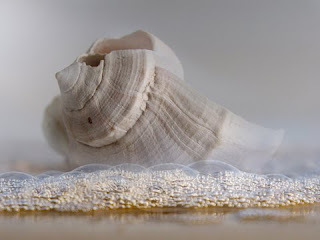 It was pure pleasure to photograph some shells I have treasured forever and to invent, with other photographs, their source. I used the images over and over, nesting them in piles of handmade paper, sewing them into books for the wall. So, as the snow piled up around The School, my studio became a sort of paradise, all azure, white, and green. Hi, These look wonderful. I knew you must be hard at work. I love the idea of you working on white warmth in white cold. bon chance. These will be hard for people to resist. Thank you, Carole. We managed to make our way south through drifting snow in Indiana -- gorgeous but full of bad potential. Now we are ready for some days in the sunshine. Working slowly, concentrating, repeating, enjoying the feel of materials in my hands, finding beauty.